Hello! This is part of Inktober that I enjoy and deserves a non-scrap entry! 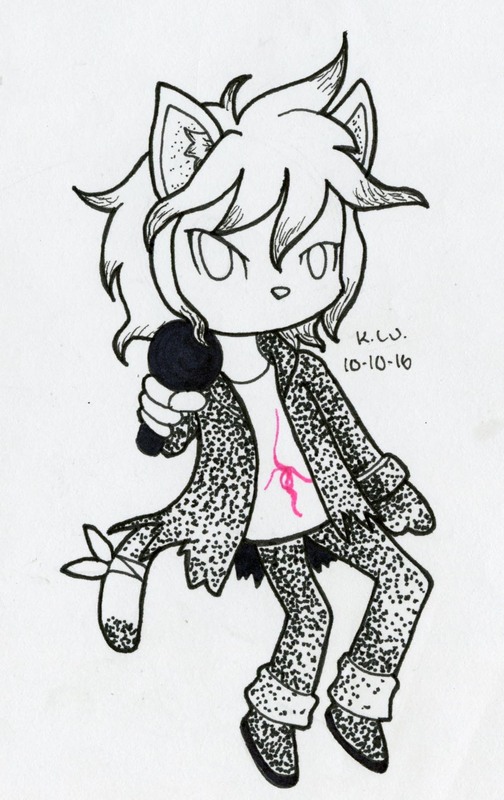 This one is Nagito Komaeda in Myumon form, for a AU story (that will never be written) I was thinking. He was originally NOT going to be in this, but after I herd that he did sung the ending song for Despair Arc (and it sounded really good)... I had no other choice! Plus it would "conflict" the unexpected protagonist in this AU! He can't perform any instruments, but he's a good singer, so he became the vocalist (when needed him).